A lot can go wrong with the water supply in a commercial or industrial facility. Minerals, sediment, chemicals and bacteria can accumulate within piping and fixtures over time, which can diminish the quality of the water. Regular testing of hot water systems can indicate the presence of these materials and help to determine whether there’s a need for additional water treatment steps. 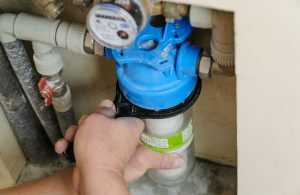 Besides being a leading supplier of high-quality water heaters and water heater repair services to businesses in Harrisburg, PA, Carlisle, PA, Chambersburg, PA and throughout the South Central PA region, Tuckey Mechanical Services, Inc. offers a host of advanced commercial water treatment solutions. We serve the needs of small business owners as well as general contractors in search of qualified plumbing subcontractors to handle their water treatment systems. Water filters: One common water supply issue is the build-up of solid particles known as sediment. We can install water filters that will treat the water throughout your facility to remove the particles as well as the unpleasant odors that often accompany them. These filters are designed to treat your entire water supply instead of just individual appliances such as sinks or washing machines. Water softeners: You may be familiar with the term “hard water,” which is water that contains a high volume of minerals such as calcium and magnesium. If left untreated, hard water may eventually damage boilers, cooling towers or other equipment that handles your water supply. We can install softeners that filter hard water and remove the mineral content. The filtration process can improve the quality of your water and extend the lifespan of your plumbing fixtures and water-related equipment and machinery. Ultraviolet light systems: If testing reveals the presence of bacteria in your water supply, ultraviolet lighting can rectify the issue. 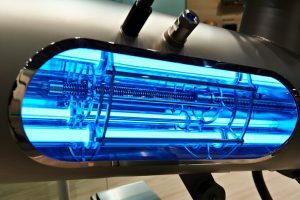 UV light systems are designed to kill bacteria that may occur due to contaminated groundwater runoff — high levels of bacteria could pose health hazards in some instances. Why Choose Tuckey Mechanical Services for Your Commercial Water Treatment Needs? Tuckey Mechanical Services is a member of the Tuckey family of companies that has been providing industry-best contracting services in South Central PA since 1968. You can trust our half-century of experience and expertise to recommend and implement the right water treatment solution based on your needs and budget. Contact us to learn more about our commercial water treatment solutions. And if you’re a homeowner, be sure to ask about our tankless water heaters and other types of residential water heaters for your Harrisburg, PA, Carlisle, PA or Chambersburg, PA-area home. "I've been fortunate to have Tuckey Companies handle all my mechanical needs for many years. 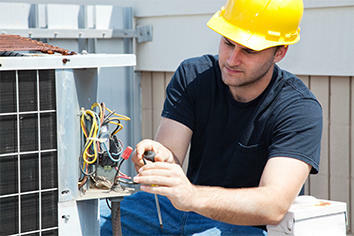 Their professionalism and follow through have helped my business (and home) run smoothly and properly. They are attentive to the customers needs and cater to the demands of today's environment."